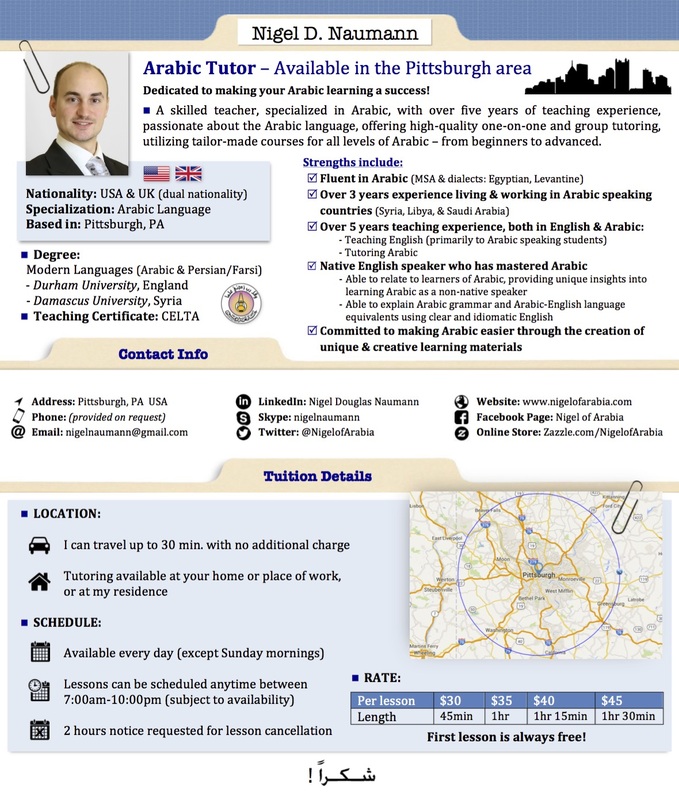 Are you looking for an Arabic tutor? If you would you like to start learning Arabic or would like to improve your current level of Arabic, I am ready to help! Please use the form below to send me a message and we can set up lessons as soon as you like. I look forward to hearing from you. Thanks! Is their a cancellation fee? Nigel has been so instrumental in helping me learn Arabic. He explains ideas clearly and thoughtfully, offers great examples, and presents information in a format that is easy to digest. I get so much out of our hour-long lessons, and I feel more prepared and confident in my Arabic class. Nigel really truly understands the art of teaching. He was able to show me clearly the links between the different parts of the Arabic grammar. I’d been studying Arabic for quite a few months and did not have a structure to fit my learning into. That was until I met Nigel. We would spend an hour, and I would be making tenses because I knew how tenses were generated from the different parts of grammar. His manner and temperament enable effective learning, so you always feel like you have a reached another milestone in your learning.